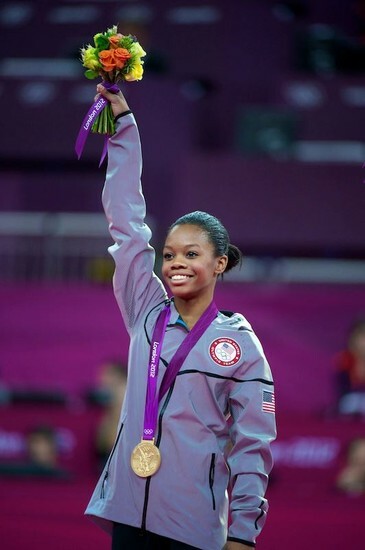 This movie is the story of how Gabby Douglas wound up winning the all around gold medal in the 2012 London summer olympics. Gabby lived in a car when she was younger, and several years later her parents divorced and her dad went off to fight in Afghanistan. At one point, seven months before her olympic dream would come true, she almost quit gymnastics, but her brother John pushed her through it. Just like any other athlete gabby faced injury, and it caused her to lose several of her gymnastics meets. Above you see the trailer for the movie. She went through a lot to become successful. She went through a lot to become the champion she is. At one of her old gyms, the coaches told her she needed a nose job, and she became very insecure and continued to ask her mother if she was pretty. She later moved to Iowa away from her family to train with an olympic athlete trainer in Iowa, to pursue her olympic dream. The family she lived with while she was there (her "host family") is a big part of her life.